As a Top Rated Local® commercial roofing expert in New Jersey, we’ve seen just about every maintenance challenge and problem possible. 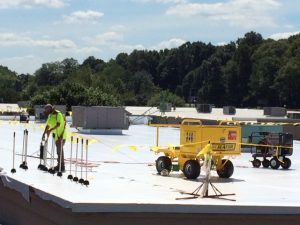 Since flat roofs are one of the most popular roof systems for commercial spaces, we’re familiar with the unique maintenance and repair needs for your business. 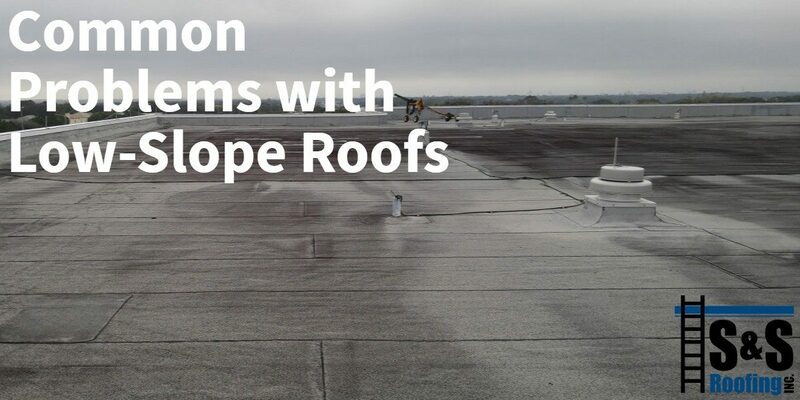 While all roofing systems have their own common issues, flat roofs are different and require a different type of upkeep. Today, we’ll take a look at a few things you can do to keep your flat roof system working longer. Regular Roof Inspections are Key! Since your business relies on the stability of your roof, you’ll want to have it inspected at least twice a year, or as the seasons change. This will let you stay on top of any minor repairs or maintenance issues as they happen, significantly reducing the risk of damage from water intrusion or neglect. Regular maintenance is vital to keeping your roof in good condition throughout the year. While major repairs should always be handled by an experienced commercial roof repair expert, there are a few things you can do as a business owner to keep your roof happy in between inspections. Keep the drains clear. Flat roofs are often susceptible to water pooling and clogged drains can make the problem even worse. As leaves start to fall, you’ll start to see a buildup of debris on your roof. Try to inspect the roof at least once a month and brush away any piles of leaves or debris that could block drains and gutters. This will help water flow off your roof and keep puddles to a minimum. Remove large piles of snow and ice. The East Coast sees its fair share of snow and ice during the winter months and clearing it from your roof will help reduce the risk of leaks and damage. Allowing ice to slowly melt on the roof gives the water ample opportunity to soak into the waterproof membrane and into your ceiling. Don’t ignore cracks or damage. While it can be tempting to put off a repair, you shouldn’t. Even small cracks can cause major damage to your roof structure when left untouched. If you see something that looks questionable, contact the experts at S & S Roofing rather than trying to fix it yourself. Remember, keeping your flat roof in good condition requires regular maintenance and upkeep. Don’t let it fall by the wayside. Contact S & S Roofing today for all your commercial roof repair needs in New Jersey and along the East Coast.